After putting the United States president in his lyrical crosshairs last month, Eminem is now believed to be focused on a cryptic rollout for a new LP believed to be titled Revival. Now, we might be closer to the album's release than we think with the arrival of another cryptic image. 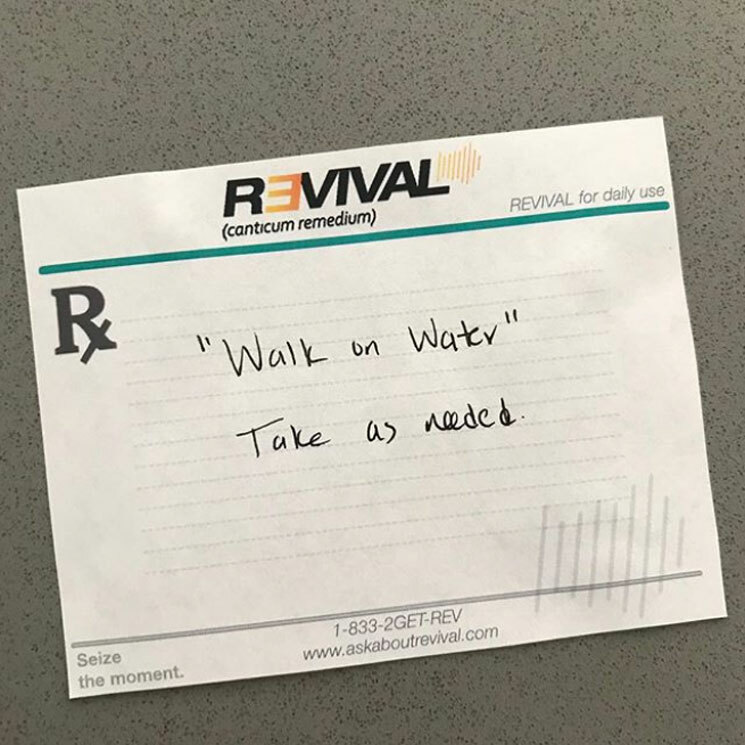 An Instagram post from Eminem shared today (November 8) pictures a doctor's prescription, ordering the patient to "'Walk on Water.' Take as needed." The note bears the same "Revival" logo that appeared in another Instagram post from Paul Rosenberg late last month, with the inverse 'E' that is common with Em's branding. The prescription also includes the same phone number and URL that appeared in the ad. While we await further details on new music from Eminem, you can find both teasers below.